Powerful EMF protection for cell phones and wireless devices. For All Cell Phones & Wireless:Makes any device it is attached to safer to be around. Apply to Vehicles:Stay EMF protected while you drive. Safer Smart Meters & Wi-Fi Routers:Just attach to the unit itself. For Household Devices:Apply to cordless phones, baby monitors, power tools, etc. 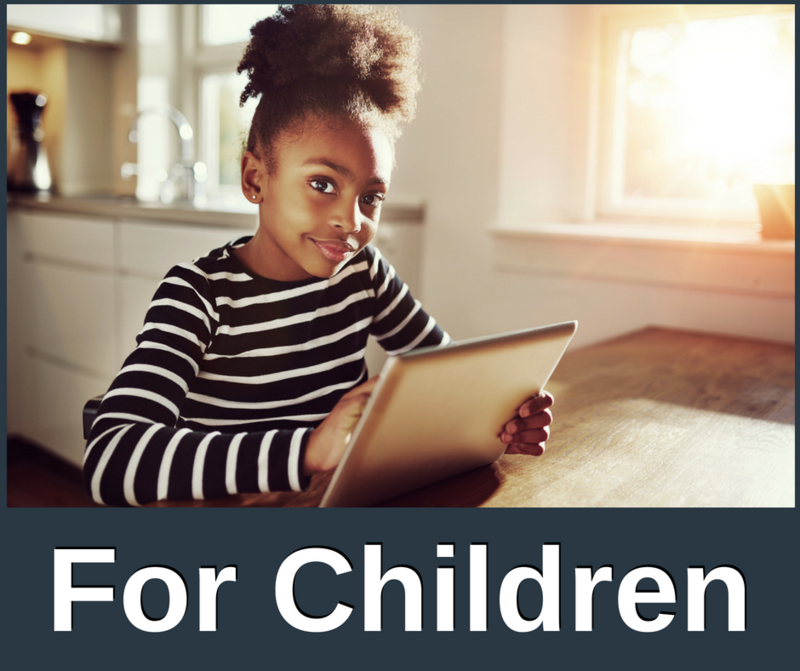 Safe for Children:Use on your child's cell phone, tablet, and wireless gaming devices. Easy To Install:Slide it between your device and its case, or adhere it to the back. 90-Day Money-Back Guarantee:Take time trying our products! Use a Quantum Cell on any cell phone, wireless device, or vehicle, and it will become safer to use immediately! 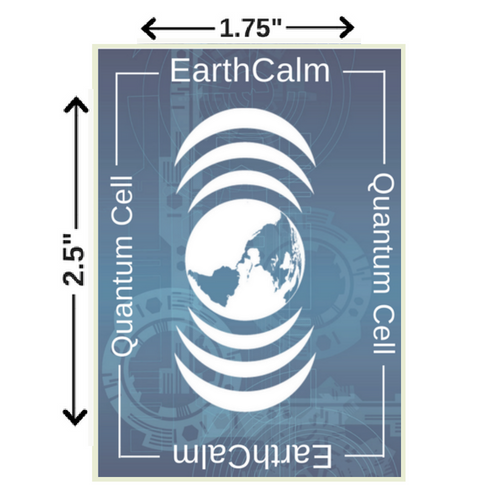 The EarthCalm Quantum Cell is a thin, durable patch that helps protect you against the radiation output of any device you put it on. Our research has shown that the Quantum Cell effectively reverses the damaging effects of EMFs, and it also increases the conductivity of human DNA. It is because of this fact that we view our Quantum Cell as a critical addition to absolutely anything that produces RF and microwave radiation. We developed this product at EarthCalm so that everyone can enjoy the benefits of our world’s technologies, without having to worry as much about the hazards that they impose. * We highly recommend pairing the Quantum Cell with wearable and whole house protection for our highest level of coverage! *Please note: EarthCalm highly recommends that you always use earphones or a speaker phone when using a cell phone. Holding a microwave-producing device against your head, so close to your brain, should never be considered 100% safe, even with several levels of protection. Likewise, we strongly encourage parents to ensure that cell phones and tablets are placed on tables instead of laps when used by children. Please use great measures of caution when it comes to kids, as their bodies may absorb more radiation than adults. Be sure to apply a Quantum Cell to all devices used by children and adults alike. "I used to get easily aggravated and stressed, when using my cell phone. It's amazing how much more grounded I feel, now that I've been using my Quantum Cell on my phone. I'm very excited to have found EarthCalm!" "I used to have a slight headache after talking on my cell phone. I notice now with the Quantum Cell, that headache is completely gone. Amazing." Q: Will the Quantum Cell work for my SIZE OF PHONE? A: Please refer to the dimensions of this product under specifications listed under the descriptions tab to see if it will be physically compatible with your device. Q: Can I use the Quantum Cell on my WiFi ROUTER? A: Yes, some of our customers do find relief in adding an extra layer of protection with a Quantum Cell to their WiFi router. However, we recommend starting with the Infinity Home System, which is designed to protect you from the EMF your entire electrical grid, and of all the plugged in electronics and appliances that are connected to it (including WiFi routers). Q: Can I take the Quantum Cell through AIRPORT SECURITY? Q: Will the Quantum Cell protect me from POWER LINES & CELL TOWERS? A: No, for protection from outside sources of EMF, such as power lines and cell towers, we recommend our wearable protection. Q: If I have a HOME SYSTEM, do I still need the Quantum Cell? A: Yes, the Infinity Home System is designed to protect you from the sources of EMF that are coming from the electrical grid it is connected to. It will not protect you from the EMF of the wireless devices in your home when they are not plugged into the homes electrical grid. Q: What is the DIFFERENCE BETWEEN THE TORUS/VOYAGER and the Quantum Cell? A: EarthCalm no longer carries the Torus or the Voyager. The technology of both products was updated and carried over to the Quantum Cell in January 2017. We recommend the Quantum Cell for all of your vehicles and wireless devices that are up close to you and touching your skin, such as your cell phone, laptop, tablet, or any other device with manmade EMF. Q: How should I use the Quantum Cell with my CELLPHONE CASE? A: If your wireless device has a case, you can simply slide the Quantum Cell between the device and its case. 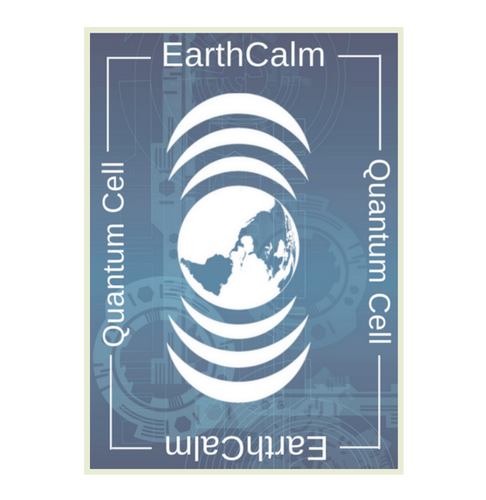 A: EarthCalm's exact technology is proprietary, but it contains a series of circuits that are designed to work like antennae to keep you in resonance with Earth's natural electromagnetic field. Q: How much is SHIPPING for the Quantum Cell? A: To obtain a shipping quote, please add the items you want to your cart and click on ‘CALCULATE SHIPPING’. Q: How do I know if the Quantum Cell is working? A: EarthCalm performs thorough inspections on all of our products before they leave the warehouse, so the technology inside is guaranteed to work once they reach our customers. The tests that our customers perform are based on their biological reactions to the technology, but not everyone’s reaction will be the same because the condition of everyone’s EMF is different. Some will feel the benefits of the technology right away, and some won’t, but that doesn’t mean it isn’t working. Before you apply the Quantum Cell, notice how you feel when you are in close proximity to your cell phone or wireless device. Also, consider writing down any ongoing symptoms you have been experiencing regularly, no matter what their source. After applying the Quantum Cell, begin to take notice of whether there has been a change in how you feel. Often, symptoms such as headaches (common with microwave sensitivities) are noticeably reduced within hours! Reevaluate your symptoms after a few weeks. Many people are surprised to find that electrosensitivity has been at the root of their condition all along. The Quantum Cell is ready to use, as is. Do not peel it open. Please note that the provided adhesive tab is not always necessary, so read the following before applying. If Your Device has a case: Do not apply the provided adhesive tab. Instead, slide the Quantum Cell between the case and the device, placing it over the location of the battery, if possible. This should be considered the best option for installation. Placing the Quantum Cell under a case keeps it in excellent condition, and not adhering it makes it much easier to move if needed. Device without case: Apply the provided adhesive tab to the Quantum Cell. To apply, first pull off one of the white tabs, then place the underlying sticky-tack onto the silver side of the Quantum Cell. Next, pull off the remaining white tab to expose the adhesive. 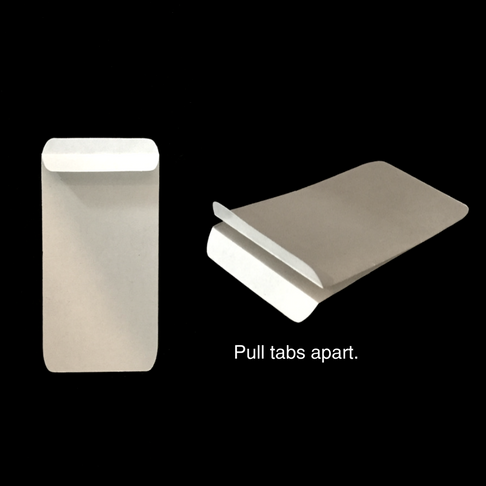 Place directly onto the back of your device, adhesive side down. Place it over the location of the battery, if possible. 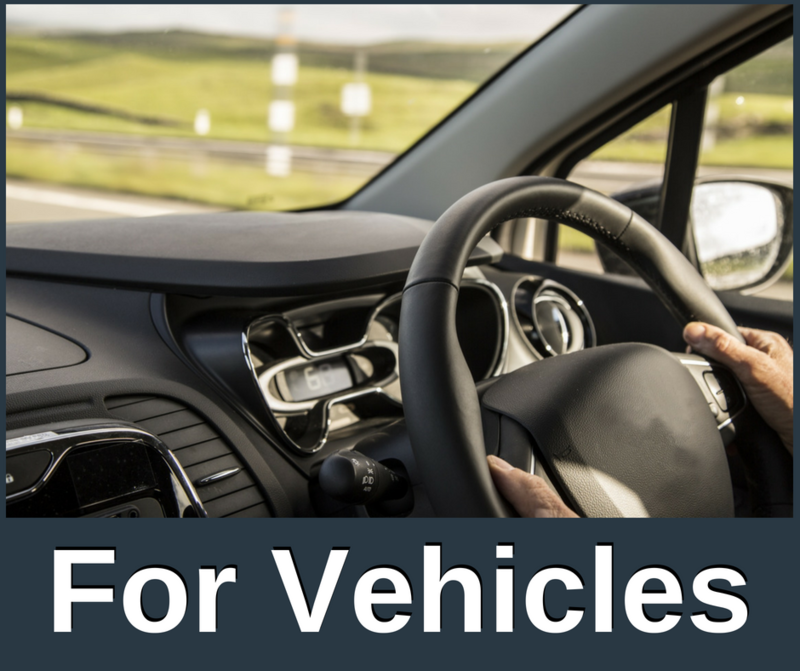 Vehicles: Apply the provided adhesive tab to the Quantum Cell. To apply, first pull off one of the white tabs, then place the underlying sticky-tack onto the silver side of the Quantum Cell. Next, pull off the remaining white tab to expose the adhesive. Adhere, sticky side down, to a metal surface within the interior of your vehicle. This is typically around the inside of a door or trunk lid. Smart Meters: Apply the provided adhesive tab to the Quantum Cell. To apply, first pull off one of the adhesives white tabs, then place the underlying sticky-tack onto the silver side of the Quantum Cell. Next, pull off the remaining white tab to expose the adhesive. Place onto any available surface of your Smart Meter or solar inverter, sticky side down. Next, cover the Quantum Cell entirely with weatherproof tape, this will keep it protected from rain and weather. Wi-Fi Routers: Apply the provided adhesive tab to the Quantum Cell as instructed above. To apply, first pull off one of the adhesives white tabs, then place the underlying sticky-tack onto the silver side of the Quantum Cell. Next, pull off the remaining white tab to expose the adhesive. Place anywhere on your Wi-Fi router, except for areas with vents or buttons. by Glen Rein, PhD, Quantum Biology Research, March 2014.
by Walter Hannes Medinger, M.Sc., Ph.D., June 15, 2012, International Instutute for Research on Electromagnetic Compatibility, Austria. by Lisa Tully, PhD, December 28, 2011, Energy Medicine Research Institute. People who are generally healthy, and not suffering from symptoms of electrosensitivity, usually adapt to our technology with ease. However, people who are electrosensitive will occasionally experience negative symptoms when beginning to use our products. These symptoms usually include things like temporary lightheadedness, nausea, fatigue, and/ or restlessness. We see these types of negative reactions as an “electromagnetic detox”; an adjustment to the relief of an otherwise constant physical stressor. Starting with the Quantum Cell? If you are new to our products, and beginning with the Quantum Cell, don’t apply the provided adhesive right away. Instead, secure the Quantum Cell to your device under a case, or with household tape (most types peel off easily). Doing this allows you time to take notice of how you feel. If you don’t have any type of reaction, apply to your device as directed. If you do feel a reaction to the Quantum Cell, however, it is a good idea to remove it from your space in intervals, to allow for a slower adaptation. To do this, begin by applying the Quantum cell to your device for hour long intervals, alternating by removing it and placing it away from you for two to three hours. You can also place the entire device with the attached Quantum Cell in another room, but some may find this difficult if they need to use it. Gradually decrease the lengths of the intervals until you feel completely comfortable. Most people adapt within a day or two. If you already know that you are electrosensitive before using our products, we highly suggest that you take note of any symptoms that you are experiencing both before and during your adaptation period. Include timings if possible. This is especially helpful when discussing your experience with our customer service representatives. It is important that you move at your own pace during the adaptation period. Remember, EarthCalm has a 90-Day Money Back Guarantee specifically to allow for this! 1) Check Your Order Date. Warranty returns must be shipped back to us, postmarked before the 1-year warranty has expired. If postmark is outside of warranty period, EarthCalm will not do the repair, and you will be responsible for all shipping costs to send it back to you. 2) Read the Warranty. To determine if your repair is covered, please refer to the warranty. If you’re still unsure, email us at customerservice@earthcalm.com, and include photos whenever possible. You are required to cover shipping costs to send it to us. We will cover shipping to back to you, excluding any additional customs fees on international orders. 4) Wait for EarthCalm to Email You. After we send you the RMA approval response, you can mail the product(s) back to us. After we receive your product(s), we will refund your account the purchase price minus shipping. All returns are processed in the order of which they are received. After processing, it can take up to 7 business days for the refund to post to your bank or credit card account. Not available for the Quantum Cell.